Today Mission Group confirms that U-Eight has received its final approval from Kelowna City Council and will go to sale next week. U-Eight is the last building in Mission Group’s successful series of condominiums in Kelowna’s University District. U-Seven and U-Six both sold out in a weekend. Kelowna, BC – Today, Mission Group confirms that U-Eight has received its final approval from Kelowna City Council and will go to sale next week. U-Eight is the last building in Mission Group’s successful series of condominiums in Kelowna’s University District. U-Seven and U-Six both sold out in a weekend. The U-Series of buildings are designed with the student in mind by award-winning local architectural firm Meiklejohn Architects. All phases of the development provide a “campus modern” feel with comfortable, open-plan living spaces. Each building offers studio, one, two and three bedroom homes. 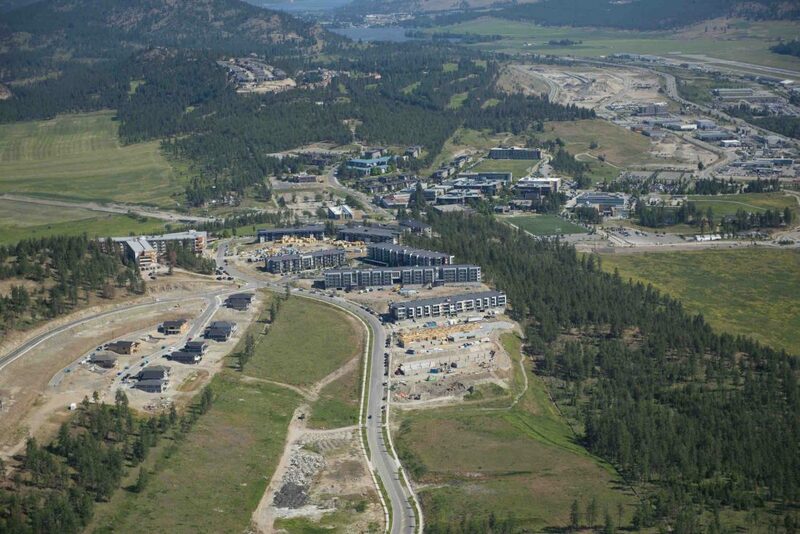 The University of British Colombia’s Okanagan Campus (UBCO) has nearly tripled its enrolment since 2005 and reached 9,945 students this year. The University currently provides 1,676 beds, which is augmented by an additional 1,800 beds built by private developers. Some Mission Group homeowners at U-Five have rented out their homes since day one. “At $2,000 per month, my suite was rented within a week of listing,” said U-Five homeowner Mr. Moe Sidhu. According to Royal Lepage’s Q4 2018 Housing report, the median price of a condo in Kelowna is $421,512 compared to $383,094 in Q4 2017. Vancouver’s median condo price is currently $792,321. U-Eight will offer a selection of studios, one, two, and three-bedroom homes. 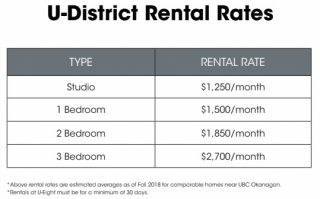 Studios are expected to start from the low $200’s, one-bedroom homes from the mid $200’s, two-bedrooms from the mid $300’s, and three-bedrooms from the mid $400’s. Built with students in mind, U-Eight features thoughtful layouts and floorplans that maximize space and revenue. Each home comes with a full kitchen, in-suite laundry, and every bedroom has its own bathroom. Construction on U-Eight is projected to start in Spring 2019 with completion by the beginning of the Fall 2020 semester. It features 90 homes. Interested parties should register at www.liveatueight.com to receive more information as soon as it becomes available.